What makes a holistic dentist in Lakewood unique? Like most other dentists, your holistic dentist at South Lakewood Dental cares deeply about the health and appearance of your smile. Some essential differences exist between the way a holistic dentist and a traditional dentist practice dentistry, though, and you may find that a holistic dentist cares about more than the state of your smile alone. The primary way that holistic dentists are unique is in the way they approach dentistry. Most traditional dentists aim to prevent, find, and treat dental problems by looking only at the structures in the mouth (teeth, gums, bone). A holistic dentist will also try to prevent, find, and treat dental problems, but they will also think about these problems as they are connected to the rest of your body’s health. For example, your mouth can often show signs of nutrition problems, cancer, and osteoporosis. In addition, poor oral health has been linked to problems such as heart disease, diabetes, and strokes. At South Lakewood Dental, your holistic dentist, Dr. Scott Stewart, understands that there is an intricate connection between the health of your mouth and the health of your body and he will approach your dental care accordingly. Due to these differences in the approach that holistic dentists take, they are understandably more concerned about the materials that are used on your teeth and how those materials can affect your health. 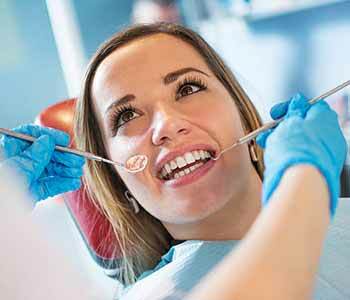 Many holistic dentists are wary of the use of potentially hazardous materials such as mercury and other metals that are often placed in patients’ smiles. Instead, they choose to utilize materials that are biologically compatible with your body and that won’t pose a significant health risk. This may mean that your holistic dentist will use alternatives such as porcelain, zirconium, and resin in fillings, implants and other restorations. If you want to find out more about how a holistic dentist in Lakewood will approach your dental care differently, give us a call at (855) 233-0023 today. When you make an appointment, you can ask Dr. Stewart to explain more about the unique benefits of holistic dentistry and discover how his practice can meet your needs. Home » What makes a holistic dentist in Lakewood unique?